Now UIDAI (Unique Identification Authority of India) has a option, through which you can download your E-Aadhaar Card Online with your Aadhaar Number. This can be accessed by visiting the UIDAI official website https://eaadhaar.uidai.gov.in, just provide the Information asking in that website i.e. 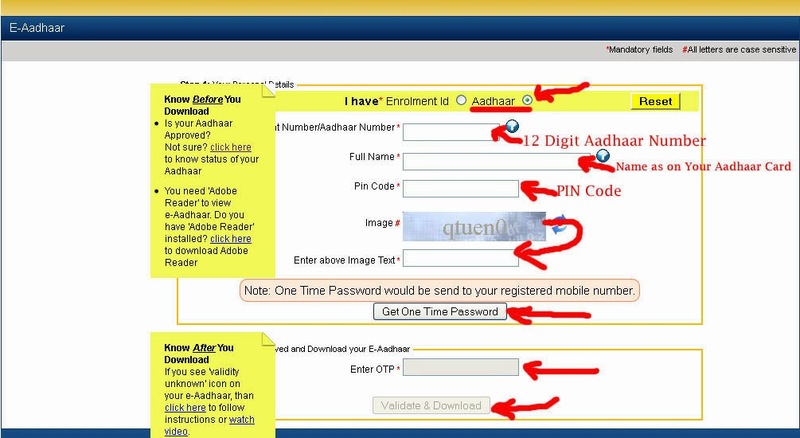 Your Aadhaar Card Number, Your Name and PIN Code and download your Aadhaar Card. How to Get/Download Aadhaar Card Online Using Aadhaar Number? Click on "Get One Time Password" The One Time Password would be send to your registered mobile number. 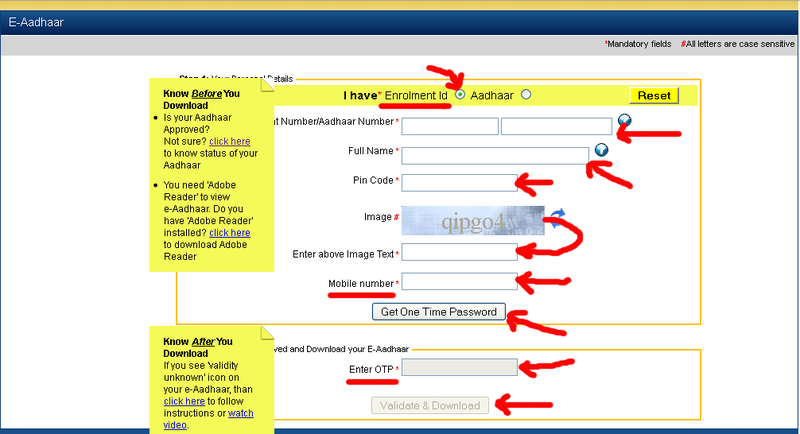 Click on "Validae & Download"
How to Get/Download Aadhaar Card Online Using Enrolment Number? Click on "Get One Time Password"
Click on "Validate & Download"